Marc Bronco Clay Mendenhall, the son of a rancher, was born that way 50 years ago in Alpine, Utah. Before he hit the trail for Charlottesville, he coached football at several universities, but none east of Louisiana. That changed in December when Virginia hired Mendenhall to replace Mike London, who left after six seasons. Known as meticulous and driven, Mendenhall brings with him a 99-43 record in 11 seasons as head coach at Brigham Young University. All of his teams went to a bowl game, and none of them suffered a losing season. Saddle up for what could be an interesting ride. Mendenhall wrote the book on building a winning football team using organizational strategies. 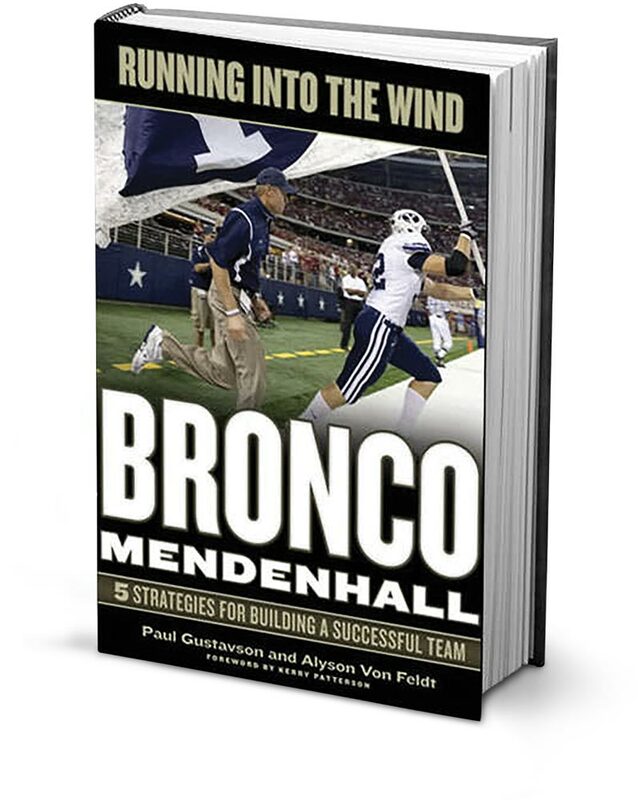 Specifically, Mendenhall shared thoughts for Running Into the Wind with management consultant Paul Gustavson, whose “five smooth stones” principles helped Mendenhall’s teams at Brigham Young University appear in 11 bowl games in 11 seasons. As a rookie coach at BYU, Mendenhall says he bought into the theories of Gustavson, a BYU grad, after feeling “overwhelmed” by his challenge. 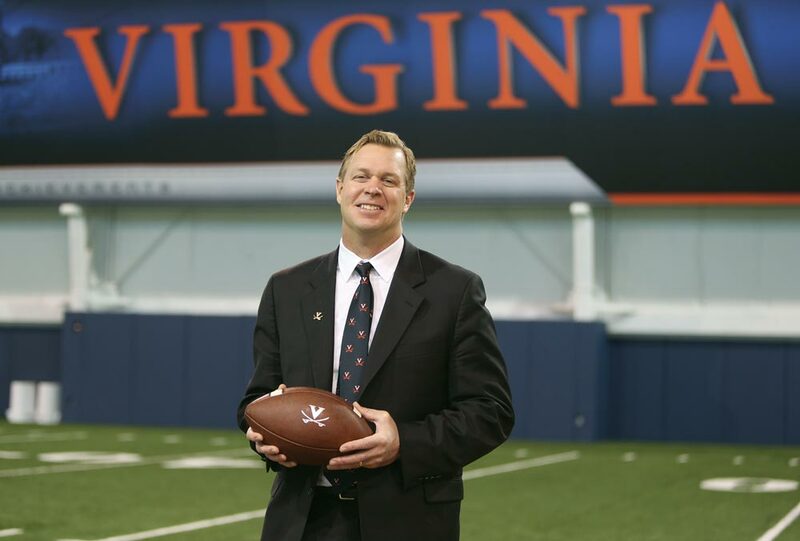 Eleven winning seasons later, Mendenhall now speaks of preserving his “core” structure from BYU while “stimulating progress” at UVA. “What we have is very effective, very efficient, and is one of the fastest models in college football,” Mendenhall says. That model includes Sundays off and staff members home to their families most nights by 6:30. 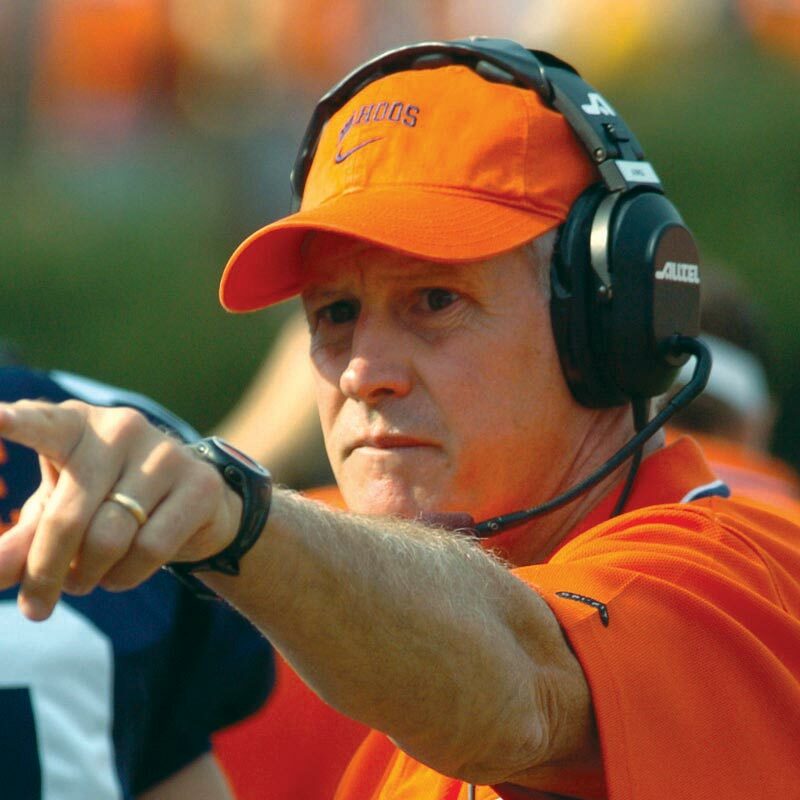 “I want it all—not only for the players, but for the coaches,” Mendenhall says. While public and secular, Virginia is similar, he says, for its academic prominence and rich history. “Virginia’s Honor Code and principles of learning and leadership go all the way back to Thomas Jefferson, and that can be leveraged through football,” Mendenhall says. The common theme is Mendenhall’s relentless drive, by which he plans to restore UVA’s football pride, on and off the field. In his first weeks at UVA, he created a vision for his teams’ future success: a Rotunda supported by pillars of family, toughness, talent, intelligence, accountability, discipline and effort. Bronco Mendenhall brings the number of Virginia football coaches to 40. Here are some of the more illustrious, and ill-fated, men to coach the Cavaliers, and a list of the head coaches from the past century. Neale coached UVA while playing big-league baseball until 1924. He also played pro football, and later coached the Philadelphia Eagles for 10 years, winning two NFL titles. Neale is in the Pro Football Hall of Fame. A workhorse who simultaneously coached UVA football, basketball and baseball, his 241 basketball victories still rank third at Virginia. 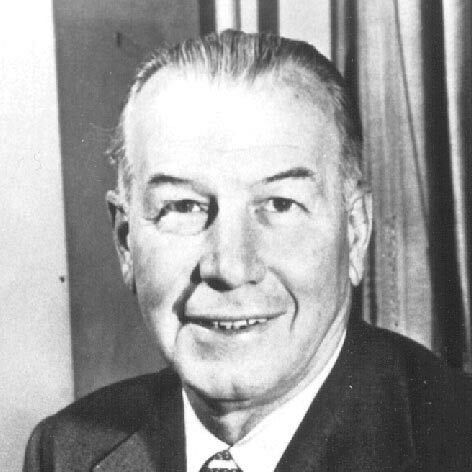 A former NFL player, Tebell was athletic director through the ’50s. UVA’s Tebell Award still goes to the top graduating male student-athlete. An innovative football thinker, Murray coached at Marquette for 15 seasons, including in the first Cotton Bowl, before being lured to Charlottesville. 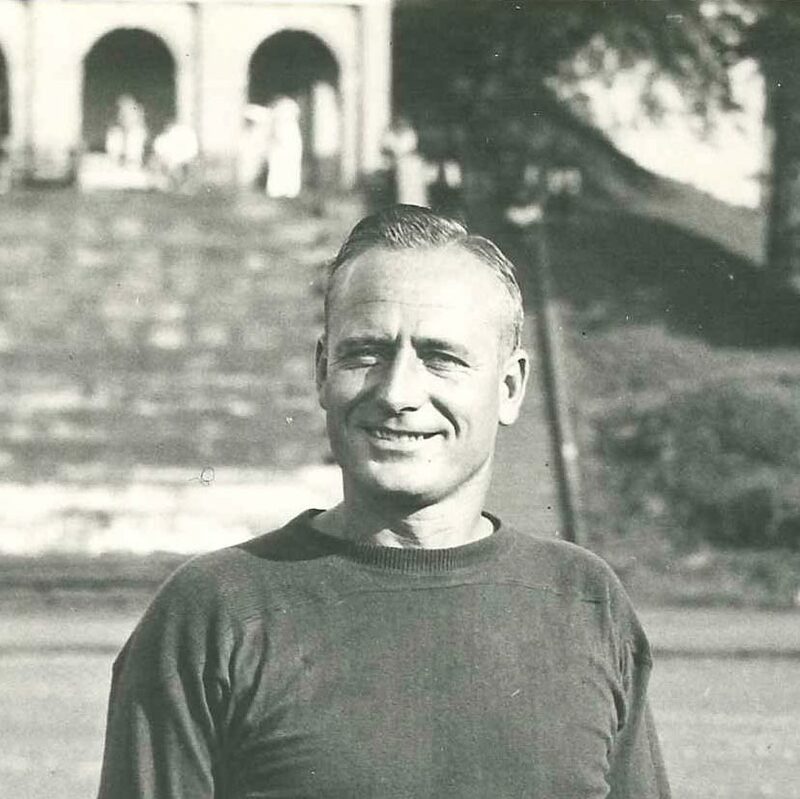 A College Football Hall of Famer, his best UVA team went 8-1 in 1941. Murray returned to Marquette in ’46. 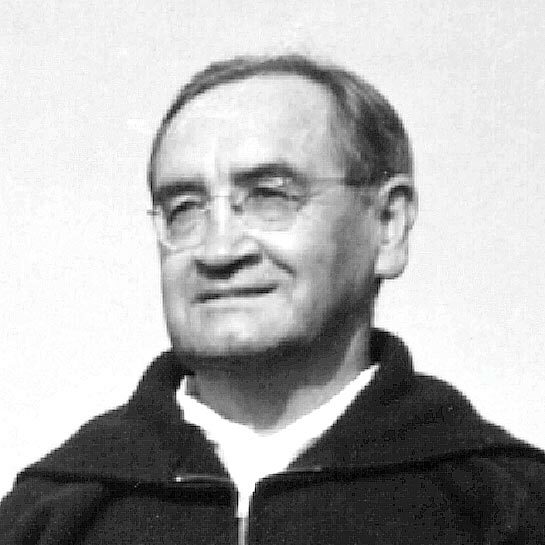 Murray’s assistant, whose 47 victories were tops until George Welsh, Guepe never had a losing season. 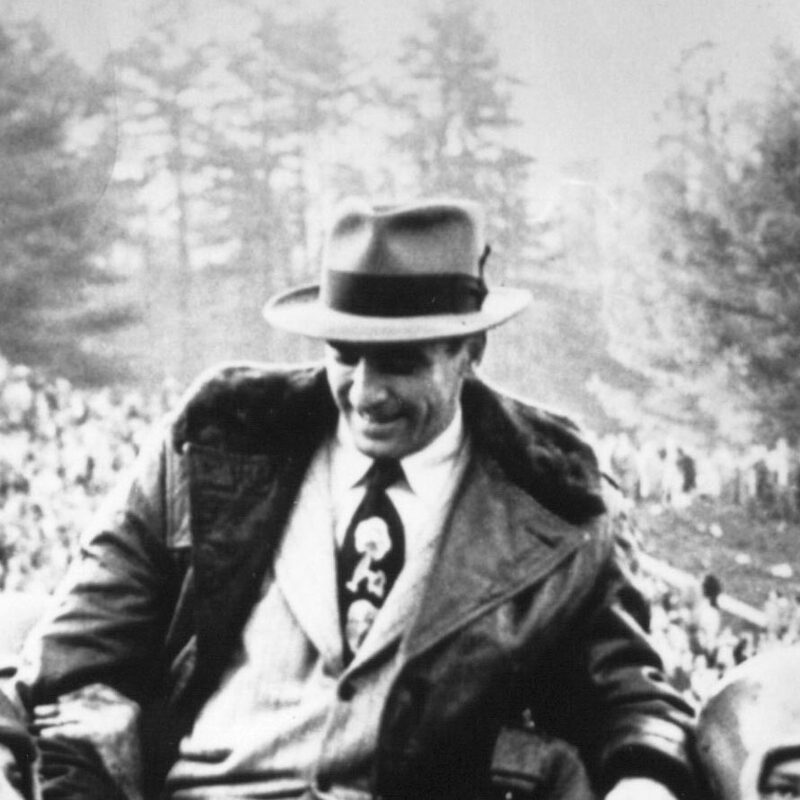 He left for Vanderbilt in 1953 in the midst of the controversial move by UVA President Colgate Darden to de-emphasize major college football. The program’s free fall following Guepe’s departure bottomed out during Voris’ 28-game losing streak, an NCAA record at the time. Voris beat only Duke, in his second game, but later assisted the Green Bay Packers’ Vince Lombardi. 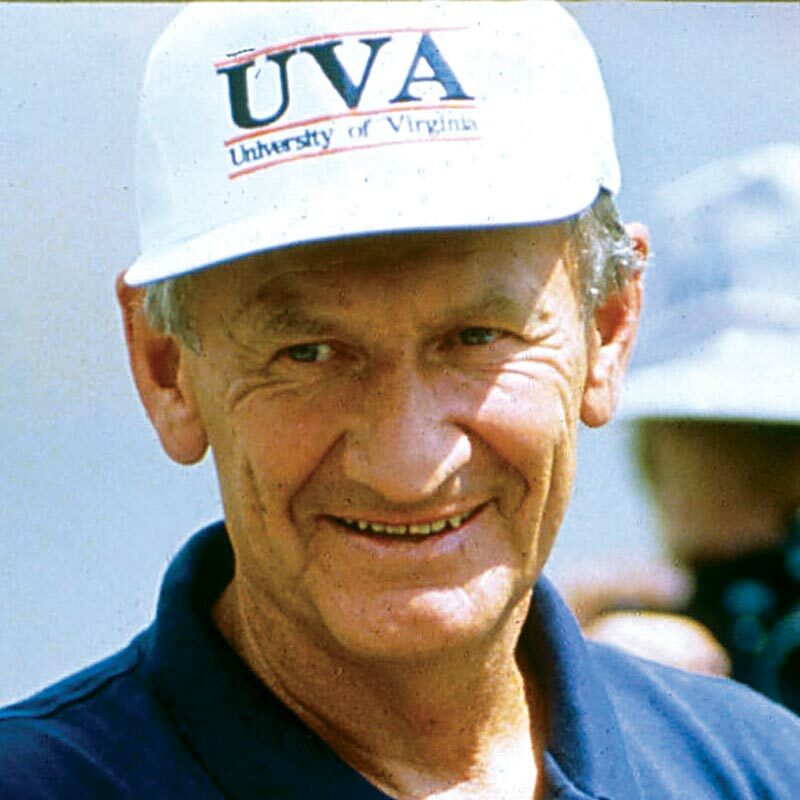 UVA’s winningest coach, Welsh was ACC Coach of the Year four times and received the national Bobby Dodd Coach of the Year Award in ’91. 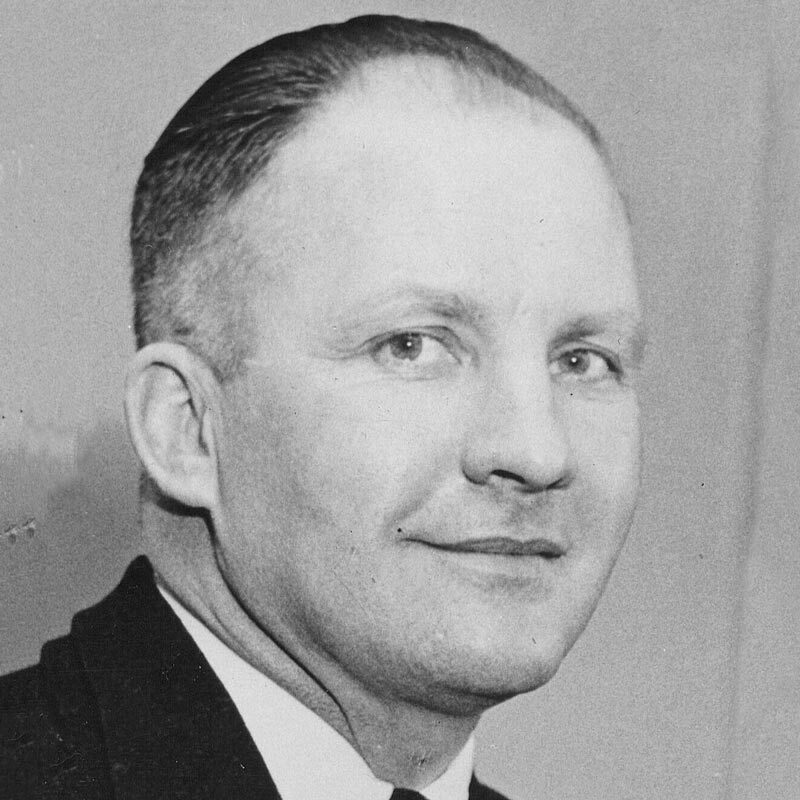 He arrived, after nine seasons at Navy, to a program with just two winning seasons after 1952. 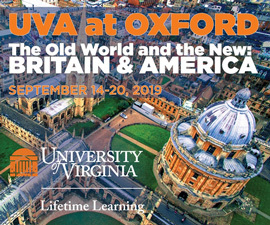 Welsh achieved UVA’s only No. 1 ranking in ’90, won two ACC titles and went to 12 bowls. Groh (Com ’66) is second to Welsh in all-time victories. A defensive end at UVA, Groh also played lacrosse. Groh was head coach of the New York Jets before he returned to Virginia. He was twice ACC Coach of the Year. His Cavaliers were 9-5 in ’02 and 8-4 in ’04; both teams finished in the AP Top 25. 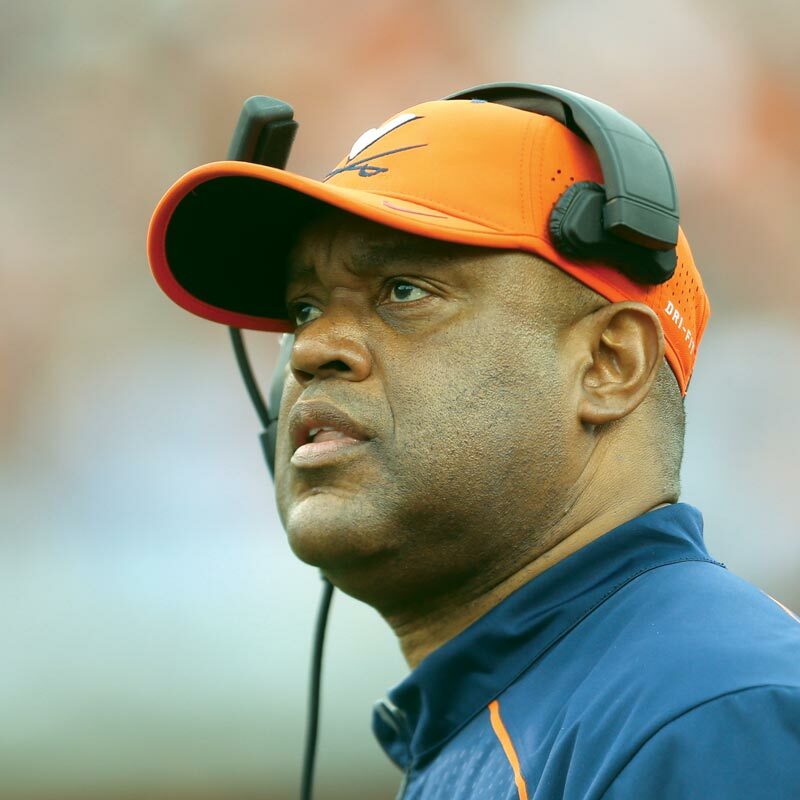 London won the ’08 FCS national title with the University of Richmond and came to UVA as the ACC’s third African-American head football coach. His ’11 team went 8-5, but lost the only bowl game of his tenure. I agree with what you said about Bronco, Dr. Brown. I would like for UVa to pattern our football program after Stanford’s. They won 93 games in the past 9 years, while admitting only 5% of their applicants. I have a very good feeling about our new coach. He strikes me as a man of principle and integrity, even scholarship. I have followed football closely since I arrived in JAN 1953, lived in the “football house” at 504 Rugby Road, ran into a brick wall, AKA, Johnny Papit, at spring practice, and gradually learned to live with disappointment in myself for walking away from the sport I love. As a shrink, I encourage physical fitness for the mind..